Costa Rica’s nature is alluring and stunning, but sometimes the crowds can be a little overwhelming. This vacation package is for those who want to enjoy the pearl of Central America, but also want to be able to enjoy the peace and serenity of a remote location. Have a look at our Costa Rica Remote Nature Vacation Package and see how My Costa Rica can help you experience the natural wonders without the crowds! Fly into San José, the capital of Costa Rica. You will be picked up at the airport and brought to the Aurola Holiday Inn, located in downtown San José from where you can go into the city center and explore. Your nature adventure has begun! Welcome! Day two already takes you away from the crowds and into the cloud forest. Not the cloud forest of Monteverde, known for its beauty but also its tourist, but the Talamanca Mountains. You will stay at the Trogon Lodge located high in the lush mountains offering great views and some interesting walking trails for you to enjoy. 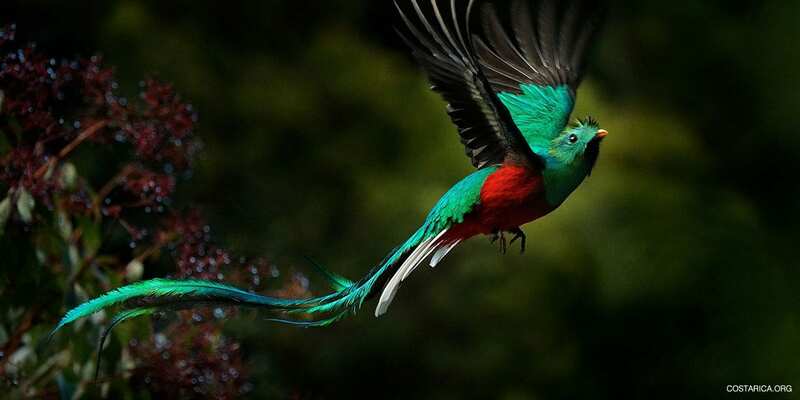 You could also do an optional birding tour and hope to spot the trogon and the stunning yet elusive Resplendent Quetzal. Today you will do the Cerro de la Muerte Tour on which you will visit the second highest point of Costa Rica. There you will have one of the most amazing views in the country of both volcanoes and the Pacific Ocean. On the way, you will also see an incredible array of vegetation and wildlife. Here you will abandon the tropical rainforest and explore a larger variety of ecosystems the Costa Rica jungle has to offer. Prepare for a tough but rewarding hike! After another transfer in the morning, you will reach the small town of Dominical where you will stay in Lookout Playa Tortuga. Explore the forest, spot some wildlife or go to explore the wild coast not yet overrun by developments. After enjoying the day on the beach or at the lodge, you will start your Crocodile Night Safari in the afternoon. A boat will take you through Mangrove swamps where you will try to spot many different animals but most importantly, of course, the American Crocodile. The guide will teach you about all the flora and fauna as you make your journey. You can enjoy the excellent facilities of La Cusinga; like the spa and natural pools. You can also relax on the beach or take part in some optional activities such as bird watching, hiking, whale watching, snorkeling and much more. It is time to leave La Cusinga from where you will have a shuttle transfer and a boat ride to reach the Drake Bay Resort at Drake Bay. It is located just next to the Pacific Ocean in the untouched nature of Costa Rica’s Osa Peninsula. 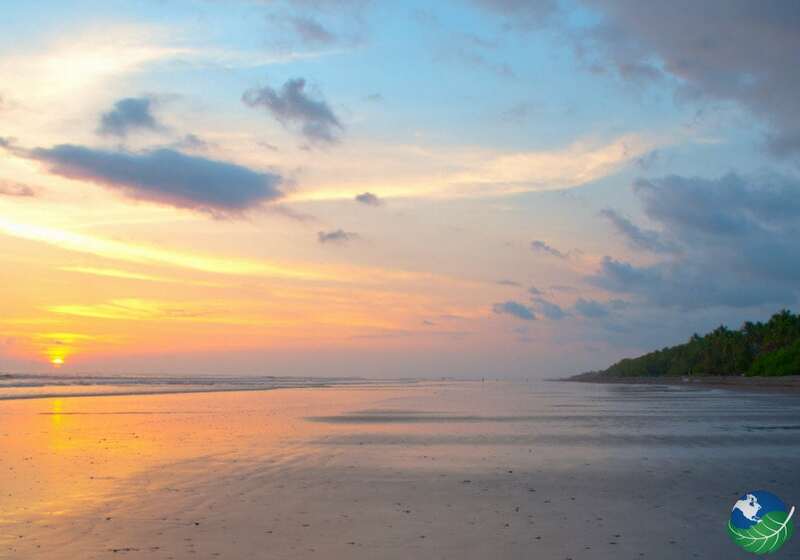 The Osa Peninsula is known as Costa Rica’s wild child and has to be on the list for anyone looking to reconnect with nature. But beware of the rainy season! It can be particularly rough in these parts. Just wait what tomorrow will bring! 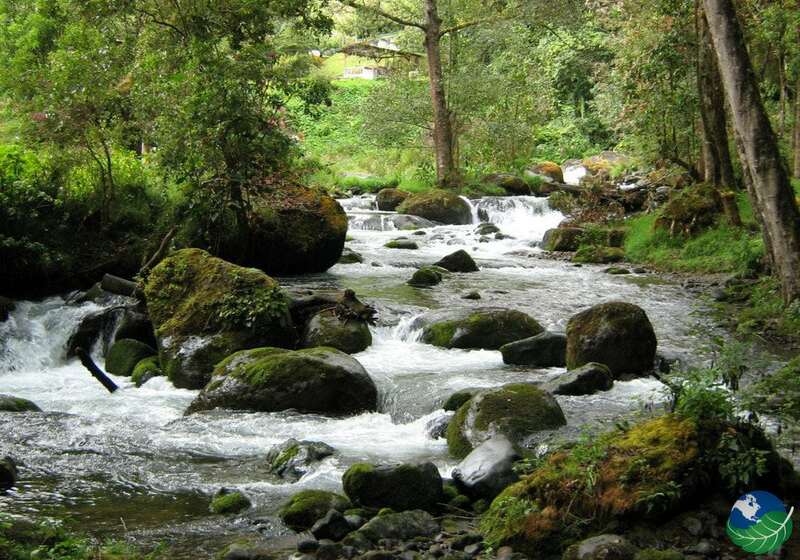 Today you have the chance to explore this precious area on the Corcovado National Park Tour. It is a natural treasure with a variety of tropical plants and animals. Corcovado has the largest biodiversity stuffed within its borders and offers sights of all the wildlife species that can be found in Costa Rica. this included all four monkey species as well as all six felines! 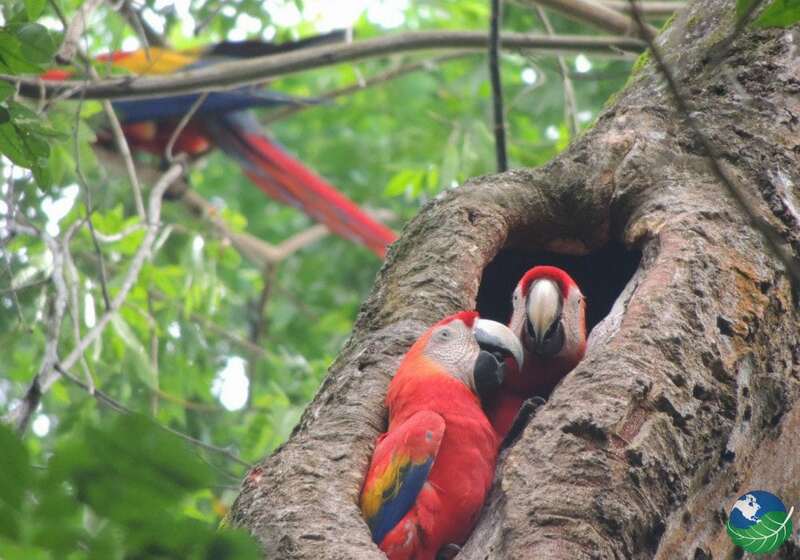 Spot a wide variety of birds like the scarlet macaws and hear the bouldering scream of the howler monkeys. Experience the wilderness in its truest form! How about some water action today? The Tent Camp offers the free use of kayaks, canoes, snorkeling gear, boogie boards, surfboards and fishing gear. You can also just enjoy the beach while relaxing in a hammock and watching birds, butterflies, and other animals. There are also more optional tours possible in this area such as whale watching, horseback riding, scuba diving and much more. There will be a transfer from the hotel bring you to Drake Bay Airport. 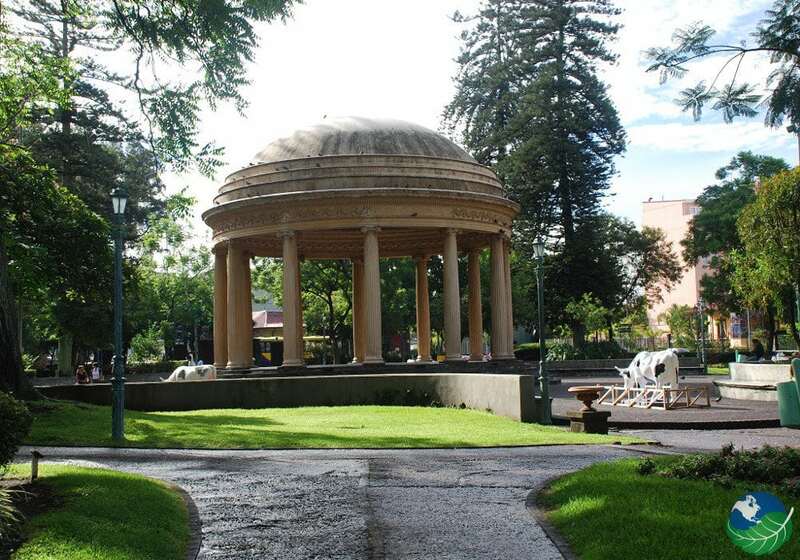 From there you will have a short domestic flight back to San José. From here you can catch your international flight back home. How did you enjoy your Costa Rica Vacation? Travel with us again and we can introduce you to so much more! We will take you to the Caribbean Sea where you can enjoy other remote wonders like Tortuguero and Barra del Colorado. Pura Vida!